The rot is insidious – we are now used to seeing ads appearing in our Facebook feeds that relate to our recent purchases or websites we’ve visited; but most of us are getting ‘Ad blind’. We ‘tune out’ those annoying banner ads on websites to the point that, if asked if there were ads on the last site we visited, most people can’t remember. We know that our computers store cookies and that we’re presented with ads that reflect our browsing patterns – but beware if you’re sharing a computer; do you want your partner to know you’ve been looking for anniversary gifts if you’re planning a surprise? Worse still, if you use your laptop at work – maybe in a business meeting to check information – what will anyone looking over your shoulder see in the ads that are presented to you on social media, YouTube, news feeds, etc? It’s getting difficult to keep private things private! The TV is getting in on it – it won’t be long before your browsing habits start reflecting in the ads that run when you’re watching TV – try keeping that big purchase or special gift secret then. Most computers do have a ‘do not track’ option, but few of us can be bothered to go to the trouble of finding and activating it. In fact, if you’re logged into Channel 4 OD, when the video starts running you’ll see your name appear – ‘Hello Mark’!!! That’s a scary experience if you’re not expecting it. It gets worse. Did you know that if you call Uber on your mobile, they can tell how near your battery is to running out? 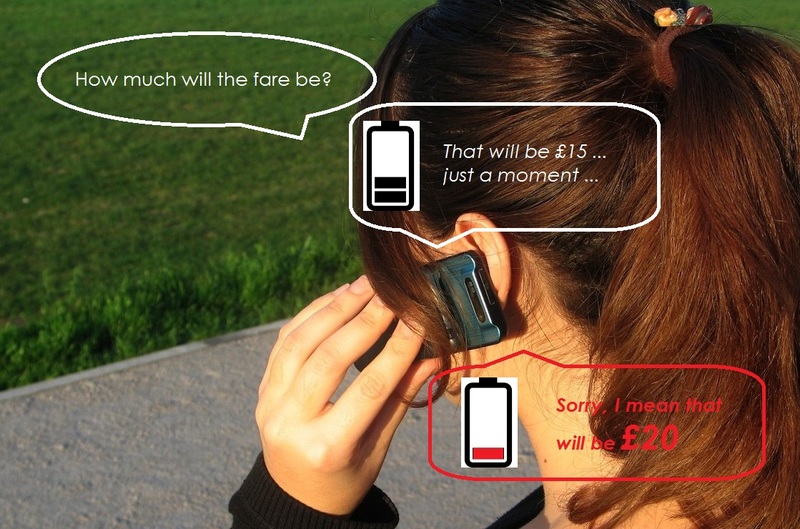 They know if your battery is about to die you’ll accept a higher price for your booking. The research suggests that people are likely to pay almost 10 times more than the usual rate if they think they’ll be stranded without a phone. While you know this, how comfortable do you feel that companies know so much about you? Is it a good thing – to help track people who actually need help, after all the police have used a mobile signal to find people who have been abducted – or is it a bad thing and constitutes a contravention of your human rights to privacy?